ClassPass is a beautiful idea in theory and it is working for gyms all over the GNO. It gives folks the flexibility to try many gyms and workouts. It is affordable and easy to use! And honestly, we love all of those things. We see why this platform has taken off in the past year and we've been aboard for a while on the ride. The time has come that we say ByeBye! Why? Our program is just that, a program. Its not a couple-of-dates-now-ghosted situation. We want to foster relationships with our members! We want to commit! (But never say this on a first date we've learned the hard way.) We know the 'C' word is hard. We know it is scary. However, when you commit to a program you're committing to a team of people IN YOUR CORNER! 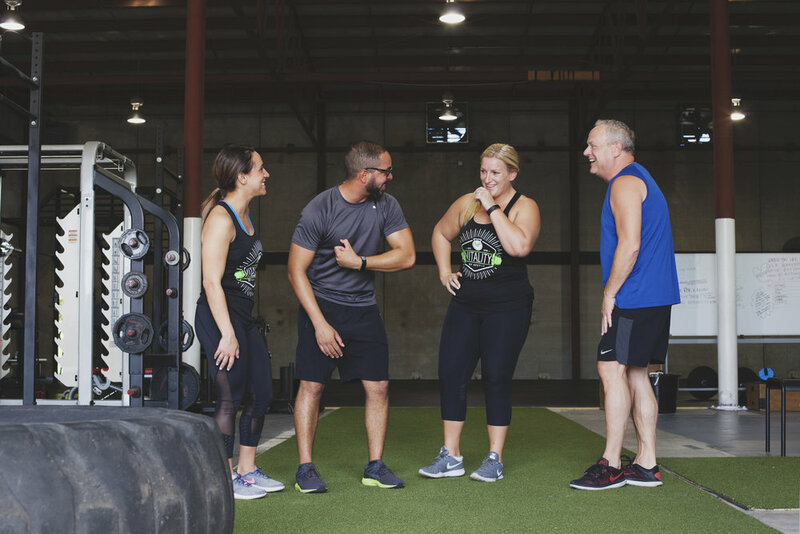 A membership that has goals and uses their time in the gym as a pathway to those goals. We at VBK know our members, we know those goals and reach them together. We are invested in you! The biggest benefit of being a small business is that we know our clients. The relationships we build are so important to this dream we have of helping people grow. We want to know your successes and we want to share in your joys! Knowing you allows us to serve you and that is truly what we got into this for. So alas, it is time to say ByeBye! Its been a wild ride ClassPass. Thank you for all the badass folks we've met this year! The time has come however to say adieu. If you miss us, chances are we miss you. Remember! Our Saturday mornings @ 9 AM are FREE and as always you can try a week trial at VBK. We'd love to see you soon. It's resolution season and we are here for it. Lets make those goals and smash them together!